Brian Ruckley's books include the fantasy trilogy The Godless World, which consists of the books Winterbirth, Bloodheir, and Fall of Thanes. His latest novel is The Edinburgh Dead. I'm a bad reader. I've become constitutionally incapable of reading a single book, from start to finish, without getting distracted by some appealing new prospect. As a result, I've always got at least two or three books sitting at the bedside, which I'll dip into as the fancy takes me. Means it takes me a long time to finish a book, but at least it has the virtue of keeping things varied and interesting, I suppose. 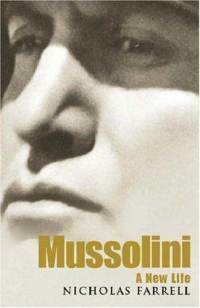 Mussolini, A New Life by Nicholas Farrell. An intimidatingly thick, dense biography of Il Duce. I'm an incurable fan of all sorts of history, from cavemen to the 20th century, and this was a rather random pick at the library. By its sheer weight it looked certain to cure my ignorance of the guy who pioneered Fascism. And it's certainly doing that: a fascinatingly detailed look at his life and the amazingly chaotic state of Italian politics in the 1920s. It's more sympathetic to Mussolini than you might expect, which is interesting, though I'm not sure yet whether I'm entirely convinced. 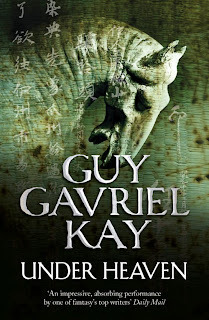 Under Heaven by Guy Gavriel Kay. One of my favourite authors, when it comes to the fantastical, and so far this is delivering what I've come to expect. 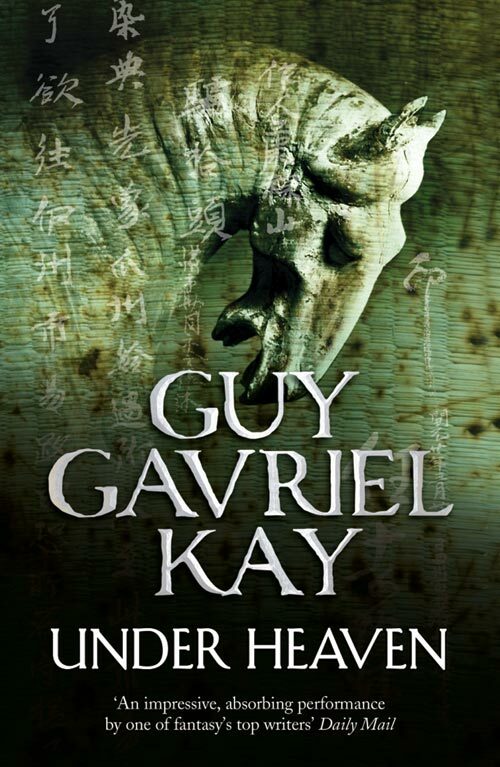 An interesting adaptation of real world history to a directly analogous imagined setting (in this case, it's Kay's version of medieval China), with a focus on characters and their inter-relationships. The basic idea of the plot is a clever, simple one: our hero is given a gift - two hundred and fifty of the world's finest horses - so absurdly generous that it immediately makes him both immensely powerful and a target for killers, manipulators and conspirators. 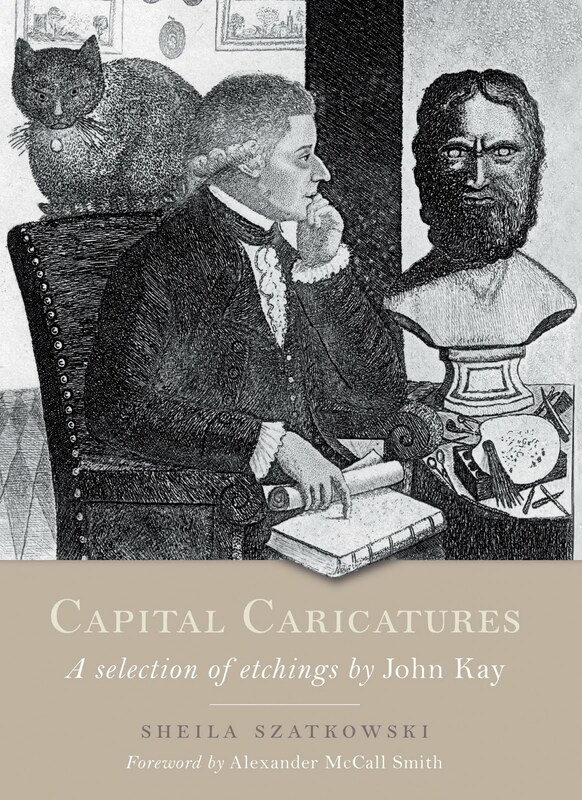 Capital Caricatures, by Sheila Szatkowski. Etchings by John Kay. An obscure one, this, which I was given as a present. My most recent book, The Edinburgh Dead, was set in Edinburgh in the 1820s, and this collection of etchings, with historical commentary, of some of Edinburgh's most famous and eccentric inhabitants just before that date struck someone as a suitable gift. They were right, too, as it's fascinating and fun. It's an entertaining reminder of something all writers of historical fiction do well to remember: for all the distance between us and them in time, our forebears were really not so very different from us in their preoccupations, their vanities and foibles and oddities, or their hopes and aspirations. Human beings have been, and no doubt always will be, very human in their failings and their virtues alike. Ruckley's books include the fantasy trilogy The Godless World, which consists of the books Winterbirth, Bloodheir, and Fall of Thanes. My Book, The Movie: the Godless World trilogy. The Page 69 Test: The Edinburgh Dead.